INDUSTRY.co.id - Jakarta- Minister of Communications and Informatics Rudiantara conveys various investment and economic opportunities in Indonesia to ambassadors from 11 countries in South America. Minister of Communications and Informatics delivers it when invited specifically by 11 ambassadors of friendly countries in the discussion session and lunch together in Jakarta, Monday (14/08/2017). 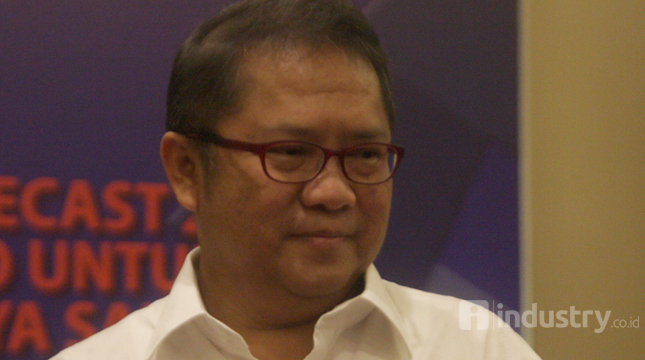 "Indonesia has the opportunity to take advantage of demographic bonuses at its peak in 2030. There are 180 million productive population and 135 million consumptive classes, now it's time to invest in Indonesia as the Government continues to improve the business and investment climate by improving fiscal conditions, improving and simplifying regulations And emphasis on aggressive development in infrastructure development," said Rudiantara. He explained in the field of Information and Communication Technology (ICT), a variety of policies that encourage ease of investment, ease in the administration process also in building digital ecosystem economy continues to be done. Policies to support ICT development in Indonesia include simplification of licensing and device certification and perpendicular roadmap ecommerce, TKDN 4G, KBLI digital platform. In addition, Minister Rudiantara also explained several recent issues such as handling negative content on the internet and social media and national needs in the development of local content and the importance of consolidation of telecommunication players in Indonesia. This consolidation will not only meet the expectations of future telecommunication services as well as provide the capability in terms of efficiency and coverage of expansion of development areas and services. The Argentine Ambassador representing other ambassadors appreciated the meeting with the Minister of Communications and Informatics for a comprehensive exposure to Indonesia related to investment opportunities and various improvement efforts in the business climate in Indonesia.